We add a new dimension to the phrase "Visiting Malta". 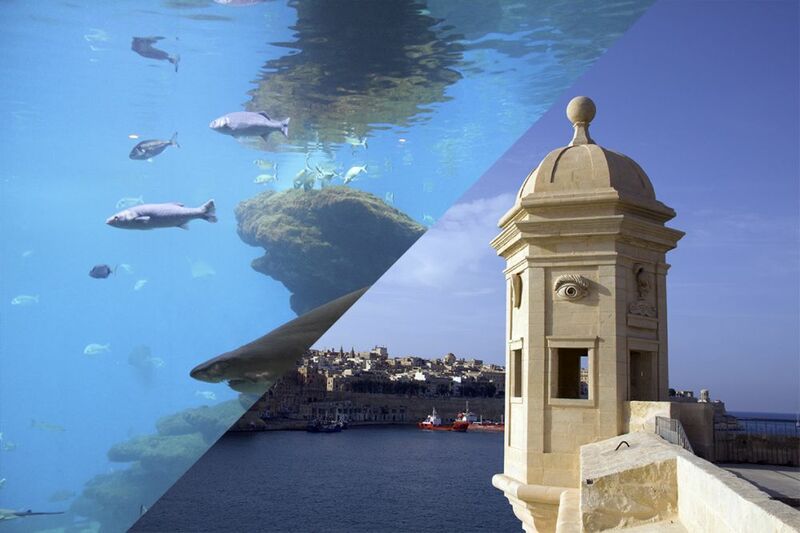 Now you can also see what lies beneath the sea that surrounds St. Pauls Islands or discover the wonders of the world beneath the sea around the scenic Sliema Coast from our unique purpose-built Underwater Safari Boat - the first of its kind in the Mediterranean. We offer a spectacular Safari to one of our specially selected sites. Each safari location has been carefully chosen to ensure maximum passenger comfort and provide optimum viewing interest. From the observation keel you will see breath taking underwater sights - diverse species of fish darting in and out through dramatic sea-bed formations the occasional octopus languidly looking for a snack or a more comfortable cave to nap in; swaying forests of multi-hued algae and much more. You will be gliding through and identifying the marine life that inhabits in the Maltese water - the clearest waters in the Mediterranean. A fish feeding programme is maintained — our way of saying 'thank you' to our splendid marine life for letting us share the sea. Indeed an Underwater Safari is not only an exciting experience but an educational one as well particularly for children. Each trip is over an hours duration and passengers have a minimum viewing time of 20 minutes in the observation keel.